-- Select a Size -- 5/8" x 4' - Out of Stock! 1" x 4' - Out of Stock! 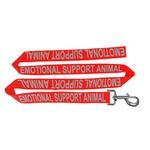 The bright and reflective Emotional Support Animal Dog Leash - Red alerts the public of your dogs support status. 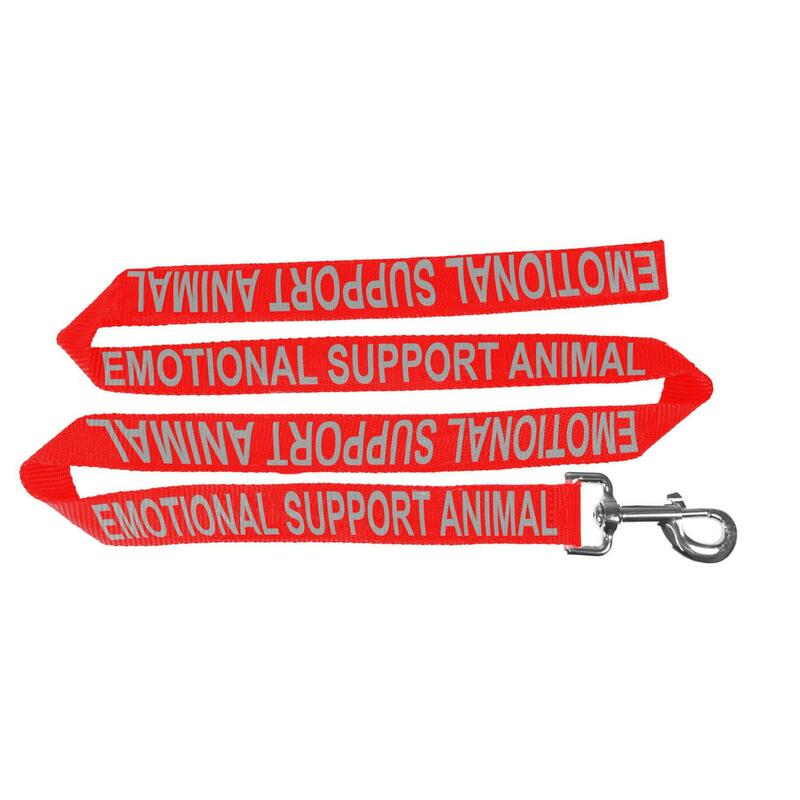 The Emotional Support Animal Dog Leash - Red is the best way to inform the public of your dogs status with "emotional support animal" inscribed through the entire bright red leash. Its lettering is reflective so even in low light conditions it is visible. Let your emotional support dog's status be known without having to say anything with this red emotional support dog leash.